Many people in Boston, MA have not heard of scleral lenses, which is unfortunate. 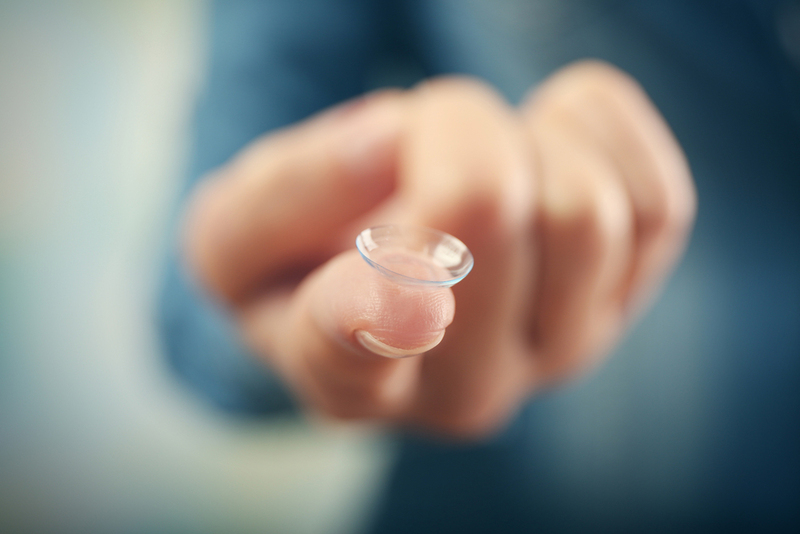 These specialized contact lenses can help many people who otherwise could not wear contacts get rid of their glasses. They are a specific type of hard, gas-permeable (GP) lenses that are designed to fit a little differently than other GP or soft contact lenses, and can be the answer to the question of how to fit certain hard-to-fit eyes. Scleral lenses are GP lenses that are larger in diameter than normal. Their name comes from the fact that they rest on the sclera, or white part, of the eye rather than the cornea. They do come in a range of sizes, however, all of these sizes are larger than conventional GP lenses. Because they are rigid lenses that retain their shape, they are able to 'vault over' the cornea of the eye without touching it. This means that conditions, in which the cornea is irregularly shaped, such as keratoconus, can often be corrected by scleral lenses. People who find conventional GP lenses too uncomfortable but who cannot wear soft contacts may also benefit from scleral lenses. Because the sclera is less sensitive than the cornea, scleral lenses are often more comfortable. Some people have trouble with their contact lenses popping out when they are active, such as playing sports. Scleral lenses are larger and therefore harder to dislodge. If you have problems keeping your contacts in your eyes, ask our optometrist in Boston whether you might benefit from scleral lenses. Scleral lenses can also benefit people with severely dry eyes. The large size and rigid shape of the scleral lens create a space between the eye and the contact that can fill with tears. These tears are then retained within the eye rather than draining away. Some people who have severely dry eyes and cannot wear other contacts, even ones made specifically for the condition, can still wear scleral lenses. Whether you have hard-to-fit eyes or just need a regular pair of contact lenses, our optometrist in Boston would be happy to evaluate you and help you pick the best type of vision correction device for you. We are located in Boston, MA at Vision Care 2000. To make an appointment, call us at (617) 487-4640.